The PAX Pokemon League EAST 2018! Welcome to the PA Forums thread for the PAX Pokemon League at PAX East 2018! What is the PAX Pokemon League? 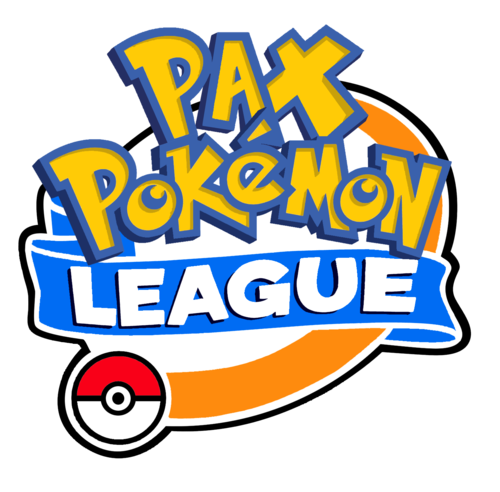 The PAX Pokemon League is a weekend-long alternate reality game played at PAX! Gym leaders wander the convention center halls, ready to battle upstart young challengers like you! Find them and defeat them in battle, and you'll receive their badge! Battles can take place anywhere at PAX. Note that this is NOT a tournament: just like in the game, ANYONE can train a team of their favorite Pokemon and challenge the League. We plan to have gym leaders at many difficulty levels, so everyone has a chance to live the Pokemon dream! Started at PAX Prime 2010, the PAX Pokemon League has grown and continues to grow each year! The PPL focuses on creating a fun quest to find and battle gym leaders to earn their badges. All that is required is a copy of a gen 7 Pokemon game (Sun, Moon, Ultra Sun, Ultra Moon), keen eyesight*, and a love of Pokemon Battle! Gym leaders will be all over PAX, and can be identified by their bright green scarves. Approach them, challenge them to a battle, and if they deem you worthy, you'll earn their badge! No need to sign up or anything, just find a gym leader and start battling! *Note: Keen Eyesight only required to see neon green clothes in a sea of black t-shirts. If, however, you want to know more about the league, join the community of challengers, and find information and hints that will help you locate and identify the gym leaders... well, you should visit our site where in the coming months we're going to be revealing leader profiles, detailed rules, and other fun things. We've also got a twitter account (@PaxPokemon) where gym leaders will often post their locations as they wander the con, and a Facebook group, where if you like us you can see news and pictures from our Hall of Fame! Our rules are posted at http://paxpokemonleague.net/rules/! Those who conquer the league will win the respect of their peers, entry into the Hall of Fame, and the ability to be forced to sit through the game's credits sequence. That sounds awesome, can I help? Applications for Gym Leaders are closed, but you can always join us over at our forums and see if you can help out! So, that's great, but what is this thread for? This is the place to interact with challengers and leaders! We're always looking for cool ideas to improve the league, or input on rules that will help make the league more fun. We also want to spread the word about the league! Tell us if you have any ideas about people we should talk to to get the word out. We could also talk about your Pokemon. Perhaps you could show us them? You guys are cool people, can I hang out with you? Pax Pokemon League gym Leader: Scott, the Fluffy Enthusiast! The countdown to East has begone, the first of our Gym leader reveals is up!!! Introducing Packer, the Protective Pet-Owner, Alexander the Proud Paragon and Blackleaf, the Hot-Blooded Guardian!